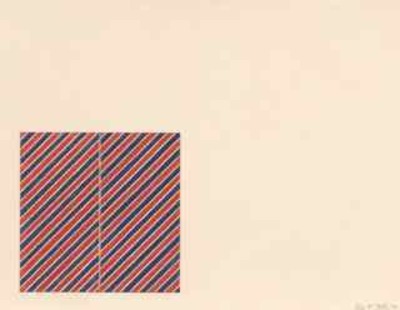 Frank Stella has played an important role in the history of painting. Over the years, Stella’s work has evolved through several significant stylistic changes. Tetuan III, like many other works by Stella from the 1960s and early 1970s, was intended to immerse the viewer into pure visual sensations—perhaps more related to its structure than to its color. Art critic Clement Greenburg referred to Stella’s style from this period as “post-painterly abstraction” and included Stella and 30 other artists in an exhibition (of the same title) at the Los Angeles County Museum of Art in 1964.